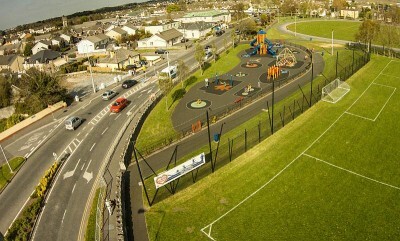 Active Ennis Tim Smythe Park has undergone substantial redevelopment in recent years. 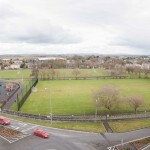 It now offers a wide range of sports and leisure amenities in tranquil surroundings close to the town centre. 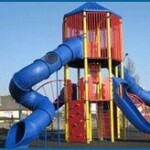 There are facilities for all age groups. 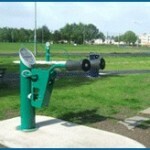 This area is suitable for children aged 0-12 years. 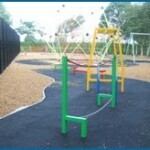 Equipment includes swings, parrot see saw, spring rocker, Odyssey tower, roundabout and rope net climbing structure. 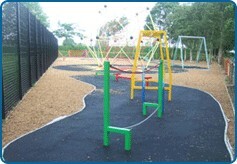 Safety surfacing in a variety of colours and shapes is installed over the complete area of the playground. 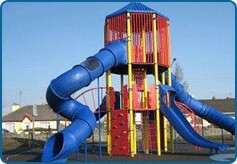 The teen play area includes a cable runway, drop shot and trim trail. 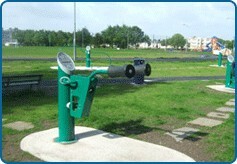 This adult exercise area incorporates exercise machines for all abilities. 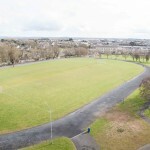 There are two playing pitches and one training pitch served by changing rooms. All pitches must be pre-booked. 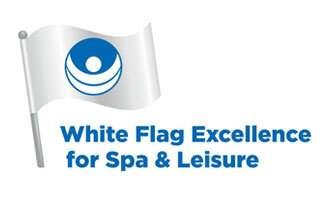 Call us on 065 6821604 or use the Enquiry Form for booking information. This facility is popular with athletics clubs and individual clubs and offers opportunities for training with accurate times and splits. In recent years, MUGAs have become extremely popular, providing opportunities for informal sports and benefiting health and fitness. 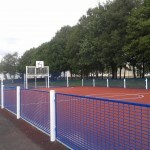 Our MUGA is designed to suit most disciplines of sport including soccer, basketball and hockey. The Perimeter Walking Paths offer healthy and safe walking routes close to the town centre, ideal for sociable strolls and lunchtime breaks. Pitches must be pre-booked. 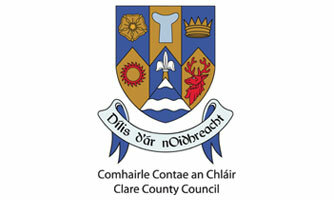 Call us on 065 6821604 or use the Enquiry Form for booking information. 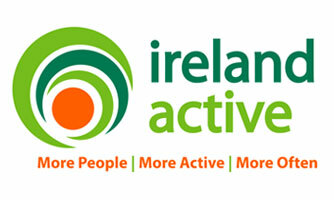 All other facilities at Active Ennis Tim Smythe Park are free and do not require booking.